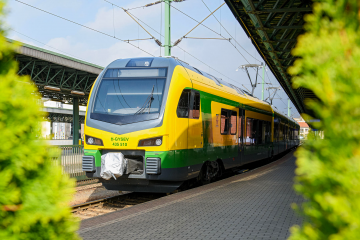 The Chemnitz – Leipzig line in Germany needs an upgrade, urgently, according to the local authorities. 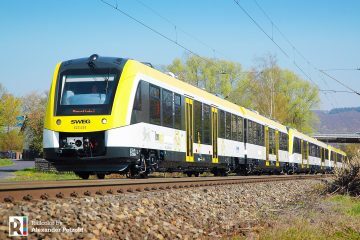 Reconstruction and electrification of the line is highly desired, so modern electric trains can be used and a new time table can be implemented, all to improve the connectivity of the city of Chemnitz. Deutsche Bahn is now officially supporting the project, that recently got the status ‘Vordringlicher Bedarf’ (urgent measures needed) from the national government. Next to electrification, extra track sections will be built so trains can pass each other resulting a more stabile time table. 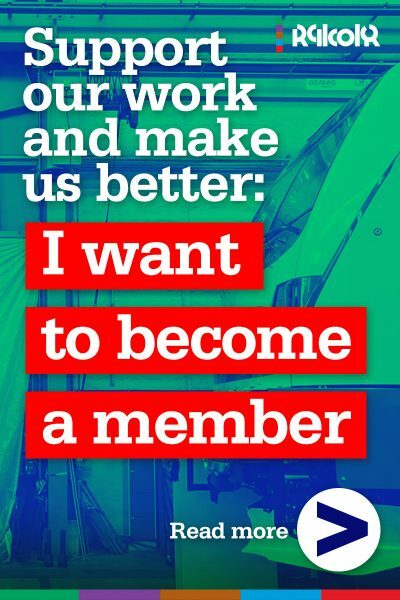 As it is clear now the upgrade project will move forward, local authorities and the operator have a basis for developing an ‘interim upgrade’ to the trains and services on the line until the new infrastructure will be available. Various options were assessed. During a press conference on 04.07.2018, Zweckverband Verkehrsverbund Mittelsachsen (ZVMS) presented its measures under the name ‘Übergangskonzept bis zur Elektrifizierung der Strecke Chemnitz – Leipzig’, to be implemented starting in Q1 of 2019. 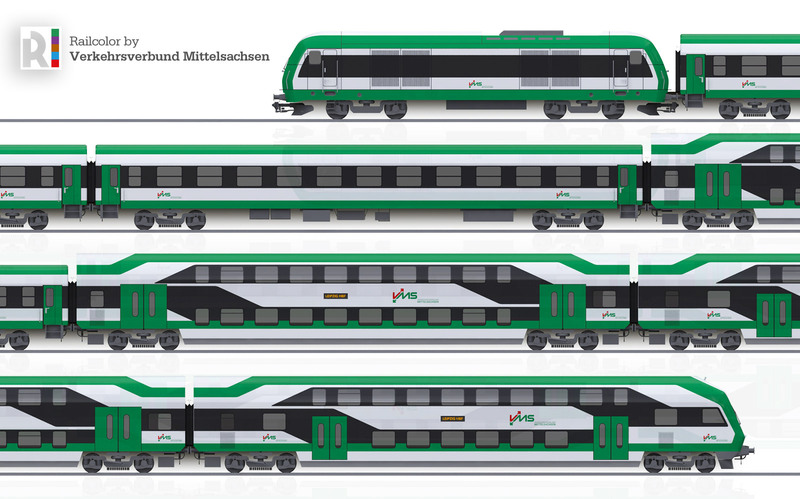 In July 2018 the ZVMS presented its initial plans for the diesel trains used in the Übergangskonzept: The rolling stock currently in use – refurbished Halberstädter passenger coaches – will be replaced by more modern trains, being a combination of both single and double deck coaches in a new green/white/black VMS livery. Each composition with feature two single deck intermediate cars, one double deck intermediate car and one double deck driving trailer. But at the end of 2018 it slowly became clear that some features on the wishlist for the new trains were not feasible, at least not for a reasonable price. Installing air-conditioning in the double deck cars was just too expensive – Wi-fi would not work on several stretches along the line because the networks are just too weak. 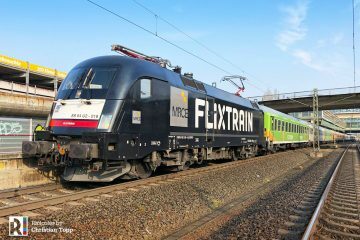 On 07.02.2019 the authorities placed an order with Deutsche Bahn for the delivery of modernised double deck coaches. 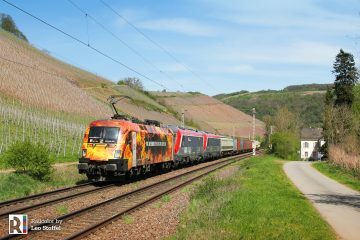 DB will refurbish coaches delivered in the nineties, that are currently withdrawn. 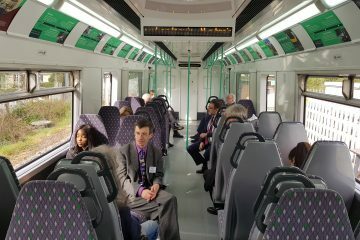 With the delivery of the ‘new’ coaches – the first ones are scheduled to arrive next June – the VMS trains will feature wider doors and all its features, including a new toilet, will be fully accessible to people with reduced mobility. In total, the new 4-car compositions will offer 350 seats, 50 more as in the current situation. 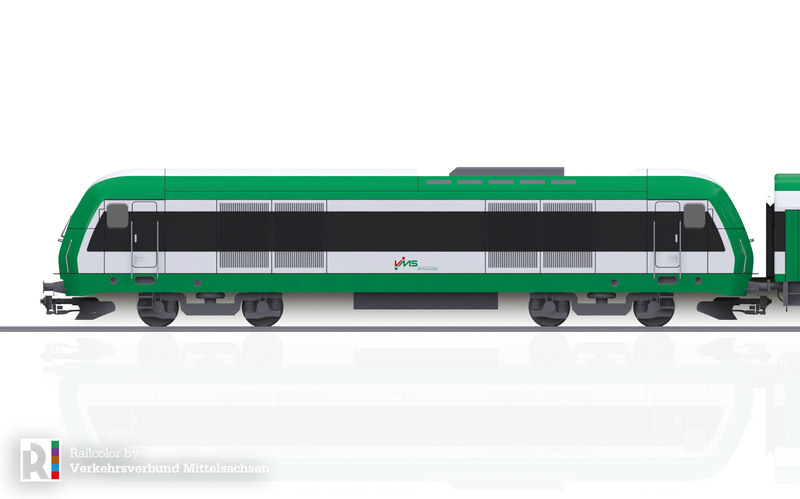 Around 11 million euro will be invested in the upgraded rolling stock. Maintenance, service and improved connections. 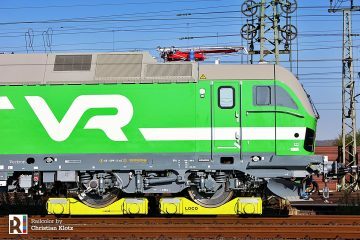 Servicing and maintenance of the trains will be performed in Chemnitz, at the workshops of the Elektronetzes Mittelsachsen. At this moment this still takes place in Delitzsch. This should reduce the downtime of the trains and it will be easier to exchange rolling stock as the workshops are closer by. 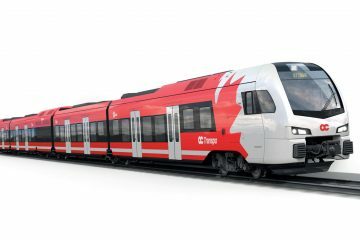 Train operator MRB / Transdev will implement a new app for selling tickets and travel information. The info points at the Chemnitzer main station will get a better location. 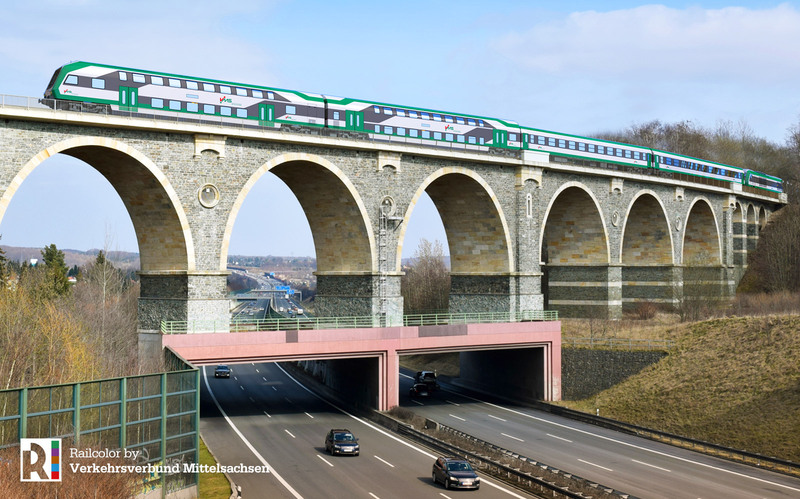 The operator and the local authorities are seeing into the possibility to improve the connectivity of Chemnitz with Berlin. Maybe a direct connection to Berlin is possible via Riesa and Elsterwerda by changing the time table of the RB 45 service. Trandev Regio Ost GmbH is the current operator of the 81 km long line connecting Leipzig and Chemnitz via Bad Lausick and Geithan (RE 6). The line is part of the concession ‘Mitteldeutsche Regiobahn’ (MRB), that started in December 2015 and ends in December 2023. 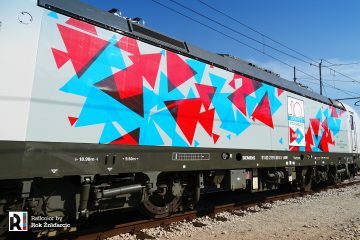 There are five EuroRunner locomotives in MRB design, silver with purple, being Beacon Rail 223 054-056 and IntEgro 223 144/152.